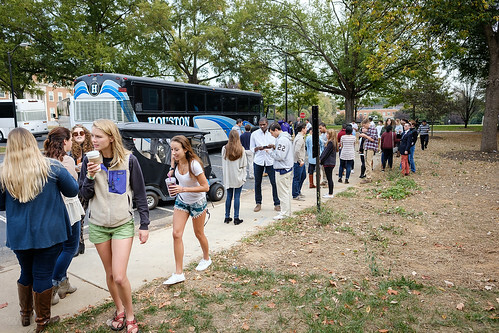 Casting that first vote in a presidential election is a rite of passage for most college students. 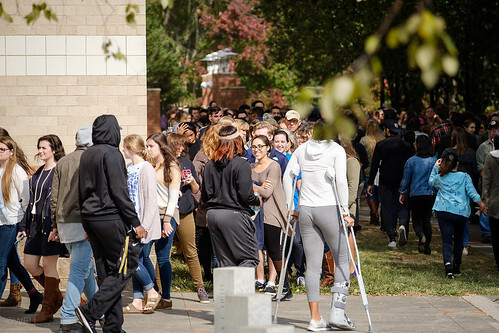 When Jay Buchanan came to Wake Forest, he never imagined the political opportunities he would experience during the anything-but-predictable 2016 election cycle. 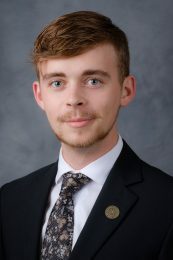 Buchanan, a senior double-majoring in theatre and politics and international affairs, said Wake Forest’s diverse learning community and North Carolina’s position as a battleground state offer meaningful ways for students to engage in this election on and off campus, inside and outside of the classroom. 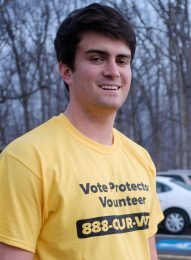 “Regardless of your passion for politics or political position, this is an election that more than any before calls on people from everywhere to comment,” said Buchanan, a Democrat from Linville Falls, N.C. who is closely studying the political process in his senior seminar on elections. “Regardless of what perspective you’re coming from, you have a perspective,” said Buchanan. 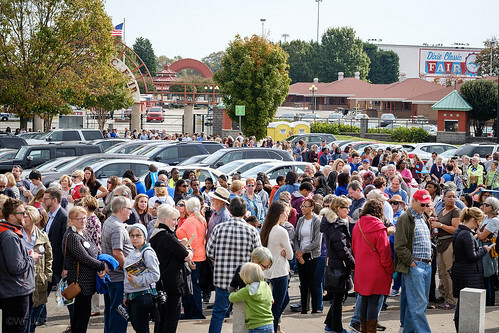 On Oct. 27, Buchanan attended a campaign event for Democratic presidential nominee Hillary Clinton at the Lawrence Joel Veterans Memorial Coliseum, which is owned by Wake Forest. 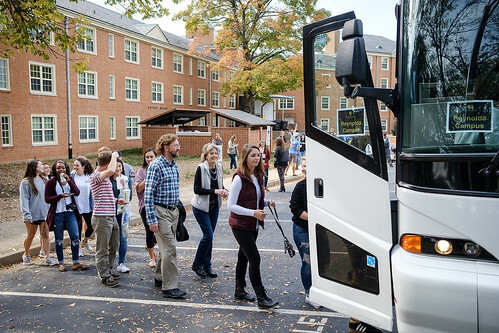 It was the first time First Lady Michelle Obama has campaigned alongside the former First Lady, Senator and Secretary of State, who recalled her 2008 visit to Wait Chapel. 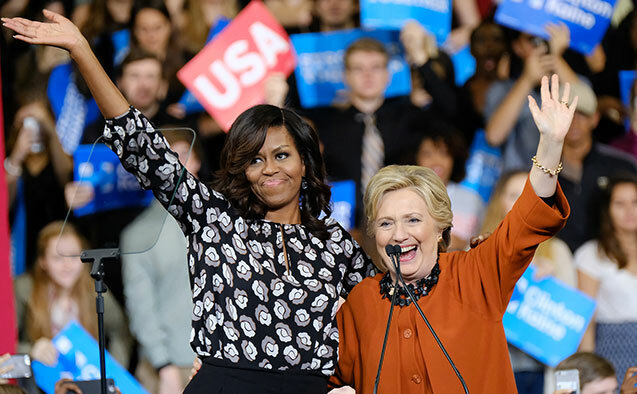 In a speech that covered a wide range of topics, including immigration, marriage equality, economic issues, college affordability and women’s rights, Clinton frequently aimed her message directly at students. “This may be one of the most, if not the most, important elections of our lifetimes, no matter our age. But for young people it will be so consequential because every election is about the future,” said Clinton. 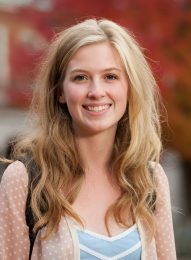 As a girl growing up in Fayetteville, Arkansas, Marlee Stark first studied Hillary Clinton for a third grade biography project. Now, as a senior business and enterprise management major with minors in women’s, gender and sexuality studies and politics and international affairs, Stark has studied Clinton, GOP presidential candidate Donald Trump, their primary rivals and how all of this season’s campaigns have, and sometimes haven’t, connected with voters her age. Approximately 10,500 people turned out for the event which drew hundreds of media members. Democrats were not the only ones engaged. 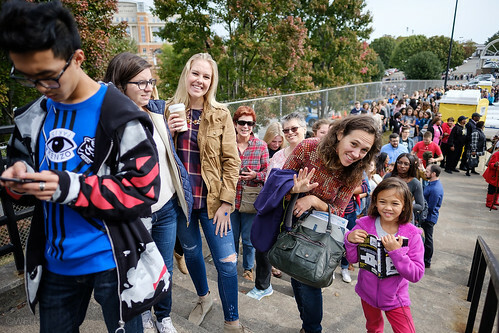 “It’s a really historic event for Wake Forest to have the current First Lady come to our campus along with the Presidential nominee for the Democratic Party,” sophomore Carl McPhail told WXII-TV. McPhail, a Republican, has gotten involved in the political process through Wake the Vote, a year-long, bipartisan program mixing classroom discussion with real-world political experience. 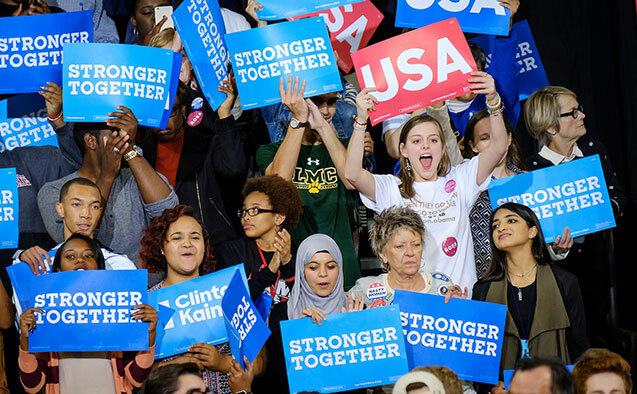 “Election 2016: Debating the Issues” – This three-day series of forums featured national and regional experts offering different perspectives on key election issues from foreign policy to education policy. Conservative and liberal figures appeared on panels moderated by Wake Forest professors across many academic disciplines. 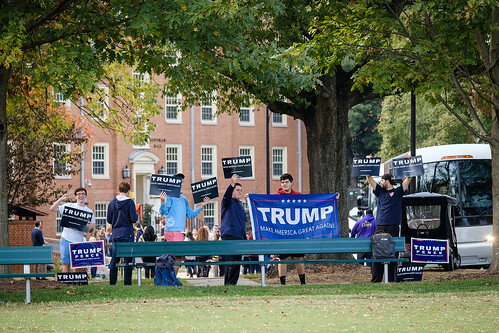 “The Future of Conservativism and the GOP” – The Wake Forest Review, a conservative student news publication, hosted and moderated a panel on the current state and future of the conservative movement. Students tackled big questions like what happens after this election and what does a millennial GOP look like. This event was co-sponsored by Wake the Vote and took place in the Wake the Vote Election Hub. “Mothers of the Movement” – The mothers of Trayvon Martin, Eric Garner, and others whose children who died in violent or police-involved incidents spoke on a panel at the Pro Humanitate Institute and visited the UP to US exhibit. 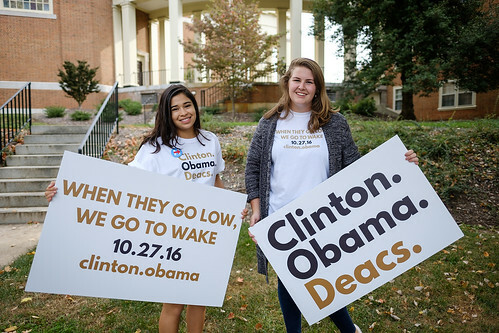 During the primaries, Wake Forest extended an open invitation to all of the presidential candidates to speak on campus and the University has accommodated all requests received to date. Candidate visits in the area have picked up in recent weeks for good reason. Forsyth County, where Wake Forest is located, is on POLITICO’s “25 battleground counties to watch” list. 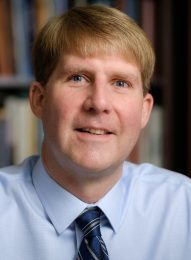 On Monday, professor of politics and international affairs John Dinan told C-SPAN that one could make the case that North Carolina was the most competitive state in the previous two presidential elections, having gone to President Barack Obama and Gov. Mitt Romney by very close margins in 2008 and 2012, respectively. Dinan said this year is unlike any he has ever seen. “You just look at where the candidates are devoting their scarcest resource – that is, their time for visits – and they’ve been devoting as much time for visiting North Carolina as any other state,” said Dinan. 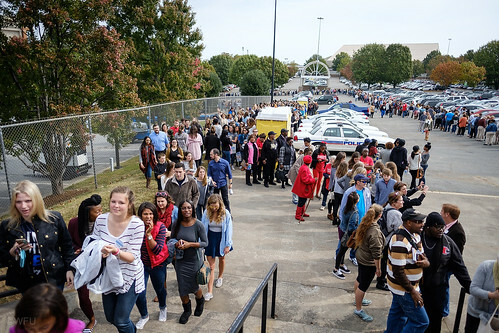 Students who attended this week’s events – like Jay Buchanan and Carl McPhail – witnessed the battle for ballots in North Carolina firsthand.